The foundation for connoisseurship was probably laid down by Giorgio Vasari in the sixteenth century and built upon by J. J. Winckelmann (Geschichte der Kunst des Altertums) in the eighteenth century and redefined by Giovanni Morelli in the nineteenth century. The approach of this fascinating scholar was empirical and unwavering, for he was convinced that his methodology was trustworthy, owing to his forensic art-historical approach. Notwithstanding Morelli’s own multi-level scientific inquiries, he did not trust the opinions of bookish art historians who relied on documents over the actual art. The evolution of the term connoisseurship was brought to a rather practical system by Bernard Berenson in the twentieth century. He concluded that the real purpose of connoisseurship was to establish the basic procedures for accuracy in attributions. In this way he extended the Morellian method of preparing catalogues raisonné for further study of known works as well as problematic ones. Thus, Berenson sought not the overt signs of authorship but the lesser details, all of which supposedly pointed to the evidence of the artist’s hand. The flaws in Berenson’s attribution process have come to light in recent years, not to mention his dishonest attributions with the aim of financial gain. One must conclude then that recognition of an artist’s style has everything to do with the post-Morellian idea of connoisseurship. 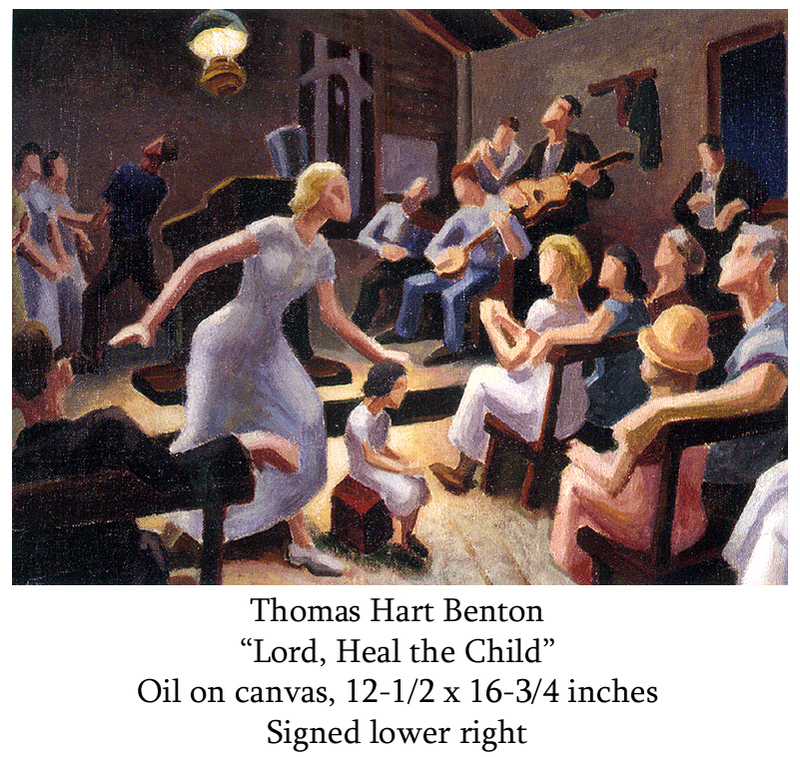 For example think of Thomas Hart Benton’s style, which is so obvious and mannered. Easily recognizable? Indeed, our assumption may be correct, but style is only part of the definition. Returning to Morelli, who put a great deal of emphasis on objective criteria, he found that an artist’s manner was discernible in details overlooked by most viewers: in the drawing of a hand, or the fluid motion of the brush in a nostril, or even in a particular type of ear lobe. In Morelli’s way the authenticity of a painting could be clearly distinguished, regardless of more obvious general traits of the artist’s style. Morelli’s method was well organized and scientific, perhaps too scientific to embrace the term connoisseurship in its full scope. 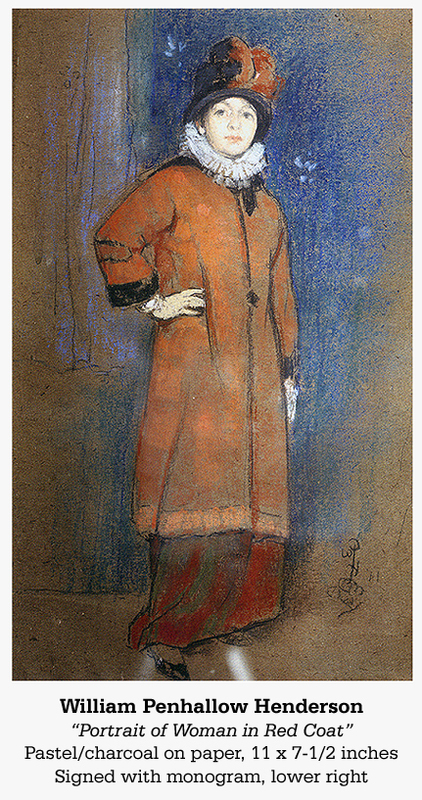 Nonetheless, Morelli influenced others in the pursuit of connoisseurship, art thinkers such as Franz Wickhoff, Adolfo Venturi and even the now infamous authority Bernard Berenson. Indeed, assuming one’s own sensibilities in judging art, connoisseurs were self made. Of course that assumption usually provides a role in the art community not always confirmed by other art experts who rely less on connoisseurship than on scientific investigation. In today’s art world, as one seeks certain evidences that prove the hand of the artist, one comes to rely on both connoisseurship and forensic data. Yet while we seek truth in determining the hand of the artist, it is of far greater importance to perceive the expression conveyed. In an oil painting, for example, has the artist’s execution, the manipulation of pigment evoked a response from the viewer, or has it left us cold, uninterested? Of course the dynamic of such expression is the foundation upon which the term “Art for Art’s Sake” has been built. Think of the slashing, dashing brushwork that marked the compositions of William Merritt Chase or John Singer Sargent. The connoisseur recognizes such brushwork and usually finds it aesthetically pleasing. Color and light, which are akin to feeling rather than form, are also factors in art connoisseurship. Painting light is a discipline worthy of study especially in representational imagery. You’ve seen examples of art that seem to “glow” while another work does not possess this quality of luminosity; in this we might compare the images of Sanford Robinson Gifford and William Tryon, two “painters of light,” each vastly different. Indeed, Gifford’s light fills large spaces, defines forms and seems to seep out from some unknown source. Tryon’s light is hidden in shadows, virtually oozing from surfaces to soften forms in warmth. Although these painters are both highly respected masters, the different ways they handled light are indelible to the mind’s eye and easily recalled. But aren’t these no more than recognizable by-products of technical skill? No doubt they are, but these are components of the artist’s stamp of originality. How many times have you heard, “Oh, that painting is an outstanding example of the artist’s work. John Doe has authenticated it and he’s a connoisseur.” Is he really? Does his celebrity as a connoisseur in the art world give him uncontrolled authority? It certainly did for Bernard Berenson. Yet the history of art has proven that Berenson’s opinion was not always correct; his status as a connoisseur was fallible. Why? Because he relied on his opinion and nothing more. Scientific analyses of the art he judged never figured into his decision. Today, when mega-dollars are being paid for important works of fine art, the opinion of true connoisseurs is still significant in the authentication of art but their opinions must be augmented by technical analysis. This is especially true in the preparation of catalogues raisonné. All too often, the opinions of such so-called connoisseurs exalt or damn a painting based either on art historical data alone or on a Berenson-like ‘opinion’ backed up with no art-historical data. That’s not enough – too much rides on shallow opinions put forth in the hastily produced catalogues raisonné of certain modern-day Duveens or by their research assistants. The first important advancement in augmenting connoisseurship by technical study was pioneered by Edward Forbes, then director of Harvard’s Fogg Museum, who in 1920 expressed his desire to see a technical school for art studies established where the chemistry of paintings could be taught, and his dream came true at the special Department for Conservation and Technical Studies. As the rapidly burgeoning art industry rescues more are more art from the destructive elements of the physical world, the need for knowledgeable connoisseurs is greater than ever. However, when confronted with problematic art, these authoritative opinion-makers must arrive at their final judgment through the utilization of technical studies (scientific analysis), art-historical data (pertinent to the art piece) and most importantly, connoisseurship (one’s own knowledge and sensitivity to the work in question). During the past few decades, the reputation of connoisseurs has become tarnished. When this dignified study of fine art is properly utilized it provides inestimable worth to the art industry. After all, the whole purpose of art is relative to human opinion, isn’t it? Can you name five American artists? American Art: Bull Market?